I've spent lot's of time on my first gen 2013 Airush Cypher 5'6 - caption below. That's a pic when it was new. Now it's got lot's of "love" bumps and bruises. I learned how to ride strapless on the board and it's been my go to board ever since. I can usually get going on it with my Airush Lithium 12 m in about 12-13 knots..all the way up to my 7 m Airush Wave lit. Usually when it's really windy I'll take out my 1st gen Naish 5'7 Global, but keep leaning toward the Cypher. It's just lots more fun in mushy waves, even high winds. I like the Cypher's versatility. Comparing it to my buddies newest North Nugget, for my weight (72 kg) it's a little slower to get going in light wind, but in my opinion a welcome trade off. It's more playful than the Nugget. Turns better. It's livelier and has a better range in higher winds. 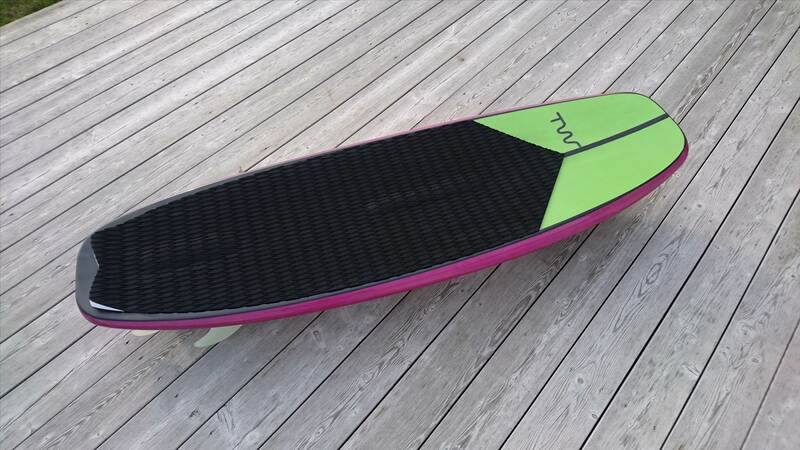 That said the Nugget, both the new and earlier models, are still nice boards. I see the 2nd gen Cyphers came out in 016 and now they're changed again in 2017, referred to as "blunt nose" boards by Kiteboarding Magazine. 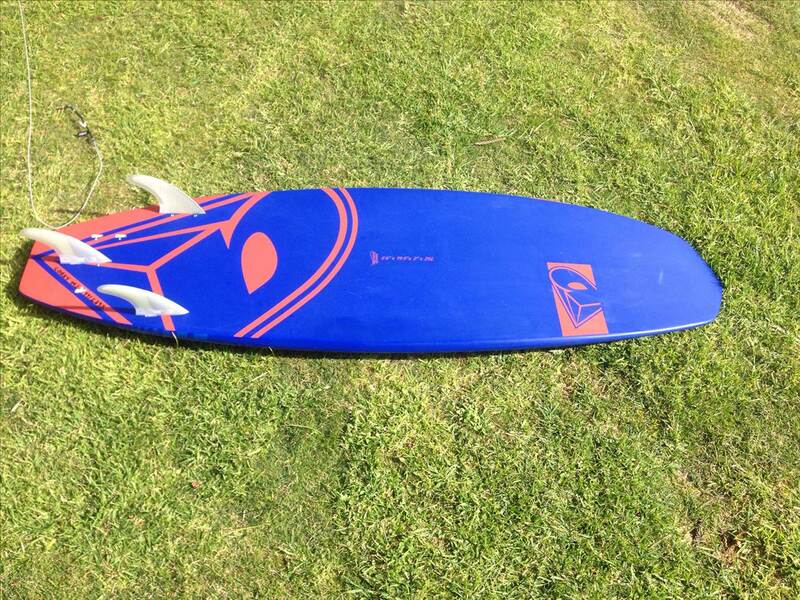 There's lots of praise for the Firewire new shapes - Vanguard & Vader. I'm leaning toward getting a 5'1 Vader (I'm 160 / 72 kg). After trying my friend's new gen North Whip blunt nose, well I didn't like it. Feeling like a "boat", it's corky and difficult to turn tightly. It's a feel thing and the new Whip just wasn't right for me. I did like the model year before the blunt nose version though. Kitesurfing mag did a "blunt nose" surfboard test which included the Firewire's and the 2016 Cypher. The review was generic and generalized all the boards in this category, in other words it didn't say much. I may replace my Cypher 5'6 with one the "blunt nose" types but from what you read you can't have it all. I know the Firewire's aren't really "low end" specific (having a bit more rocker and tail kick compared to the Cypher) and that's fine. I'll keep the Cypher, or even get a first gen bigger one, the 5'8. Who knows. Any feedback on the 2016 Cyphers would be appreciated as well. 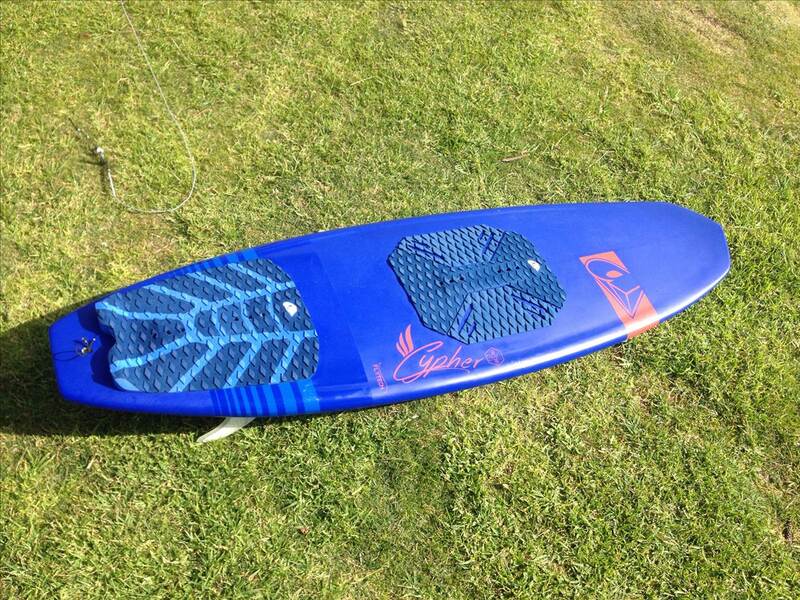 Love the board, it is definitely up near the top of my wish list (if I didn't already have 3 kite directionals). The front half is really straight and blunt but the back half is pretty much like a normal surfboard. the 5'6" felt pretty much exactly right for me - not the ultimate light wind board but an excellent all rounder with good control and plenty of low end. 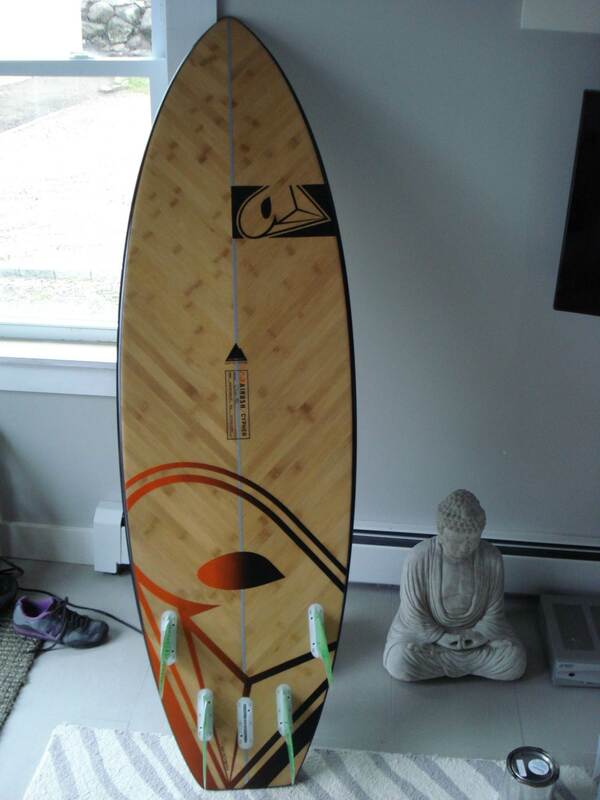 I own a 5'5 2014 nugget (pointy nose) and comparing this to the cypher the cypher is much faster and smoother through chop both go upwind really well but the cypher with its straight rail would cut right through chop and you could go fast in the rough choppy seas out the back where as the nugget you need to slow down as it gets bouncy. The cypher has the really stable feel of a nuggety wide board but it also has great control and not the bouncy feel that you often get with short wide boards. on the wave it felt loose and snappy but not slidy so I could really dig into turns. another great thing for me was that at that length I could keep my front foot in perfect position to cut upwind with speed and my back foot right on the tail to snap into turns. I really liked being able to put a lot of weight forward up on the big square nose and rocket upwind and easily be able to shift back quickly and snap a tight quick turn. Cypher vs Tomo they are completely different boards though. I would say almost no overlap. 72kg and 5-1 compact shape is massive large IMHO. I'm riding custom 4-10x18,75 " at 80kg and board is 10mm thick in thinnest spots. No need to go bigger. Orange and green board same shape. problem is the commercial boards are too big, too beefy rails make them corky. Kind of looks like those new TDZ Stallions that Ian is riding. Different concept for a board over the conventional shape, wonder how they go. Surfingboye we need to know your stance on these blunt nose surfboards? 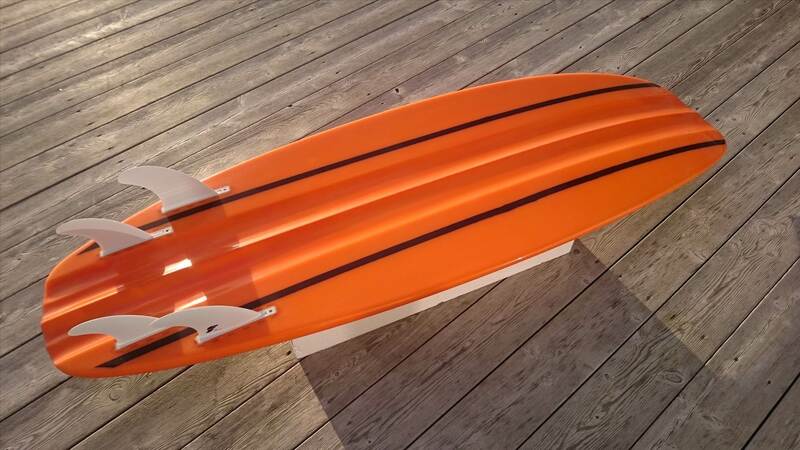 The shape is alarmingly similar to a twin tip, is it ok to ride these in the surf ? Should they be banned? Yeah, they should be outlawed in the surf and only permitted for people who do flatwater strapless freestyle. I have the 2016 Cypher, a 5'4. Love it. If I can keep my kite flying, I can go up wind. I love the feel of it through turns, feels quite solid to me. It doesn't wobble half way through. I have found when your going really fast and powered, the lack of wobble can make it hard to tip over onto a rail during a big bottom. I also didn't really like riding it strapped.